What math do I need to study for Quant? What vocab do I need to know for Verbal? Last week we discussed how to begin preparing for GRE Quant. This week we’ll discuss how to get off to a good start with vocab. How is vocab tested on the GRE? Strong vocabulary is an asset for the Verbal Reasoning and the Analytical Writing sections of the GRE. Strong vocab doesn’t just mean “fancy” words; instead, strong vocab means building fluency with words that may be somewhat ordinary but just unfamiliar to you. An ability to grasp the main ideas, structure, and details from texts like these is essential for success on all of Verbal Reasoning. Your ability to demonstrate a command of this kind of style and language is beneficial to your Analytical Writing essays. 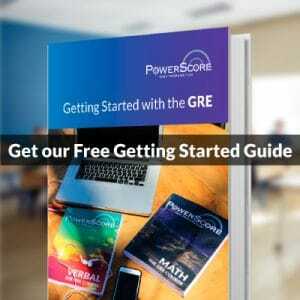 However, the GRE does go beyond testing your general vocabulary knowledge; on Text Completion and Sentence Equivalence problems, the GRE directly tests your familiarity with and command of difficult vocab words. Actively and habitually read material such as the publications cited above. Study vocabulary lists to identify and learn unfamiliar words. At PowerScore, we offer our “Repeat Offenders” vocabulary list. Use an app on a smartphone like Cram, Quizlet, or AnkiApp. Make 3 x 5 flashcards for yourself. In this post, we’ll discuss how to keep a vocab journal. The first step for vocab success is to make a single place where you can list and keep track of unfamiliar words you need to learn. I prefer using an old-fashioned spiral notebook. You might prefer something hi-tech. Either way, just pick a place to keep your vocab organized. As you read challenging material, jot down the words you don’t know. You will likely wish to look them up after you read unless the difficult word prevents you from understanding the main idea. Similarly, as you review the “Repeat Offenders” vocabulary list note the words you’ve never seen before or about which you’re kinda fuzzy. For instance, you might have seen a word like “capitulate” before, but you might struggle to give its exact definition or to use it in your own sentence. Learn the exact dictionary definition of each word. Make your own sentence in which you use the word in an appropriate context. Definition with part of speech. Example in context. I use a search engine to find the word in context, as someone else has used it in a book or article. I then copy the example sentence into my journal. My own sentence. I write a sentence to illustrate the word’s meaning and to demonstrate to myself that I have mastered its use. “admonition” — noun — Gentle or friendly reproof; counseling against fault or oversight; warning. Doing a vocabulary journal and engaging actively with your reading will improve your comprehension and ability to engage with GRE questions, whether the vocabulary is familiar or unfamiliar. The first and best strategy you can use to improve your vocabulary is to read a lot. This is also the one aspect of preparation that takes the most time. Along with becoming well-versed in math fundamentals, building your vocabulary and reading comprehension skills is an excellent way to begin your preparation for the GRE. 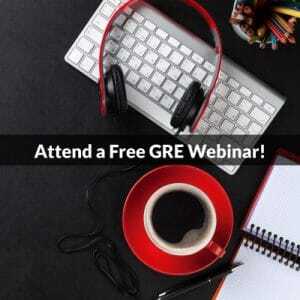 If you have questions about studying vocab or any other aspect of GRE preparation, please join us on our free GRE and Grad School Admissions Forums. Register and ask questions for free to receive prompt expert responses.